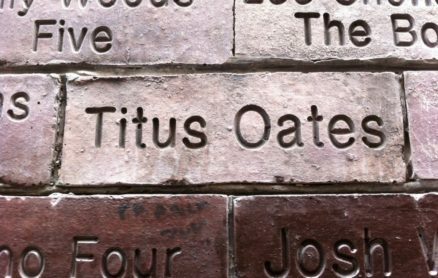 Titus Oates were a tight 4 piece blues band formed late ’69 thru late ’70 with Pete Chance, guitar, Dave Fear, drums, Ron Braid, vocals and John Hankin, bass. Played all the local venues including the Alhambra and Barbarellas and supported the Kinks and Alan Price at The Belfrey. Mainly blues covers and R & B. Disbanded end of 1970. 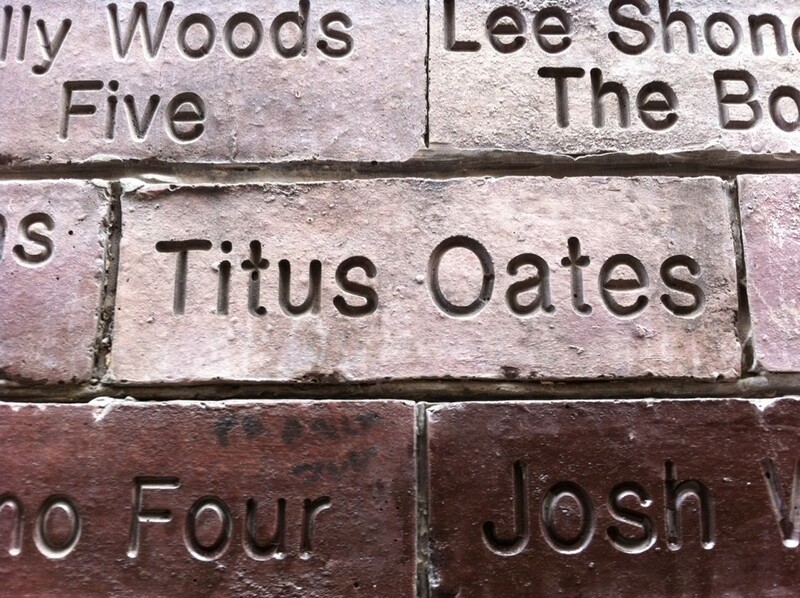 Photo of a brick at the new Cavern across the road of the old cavern while they renovated. 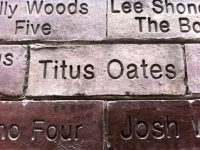 Put all the names of the bands that played there in the bricks.